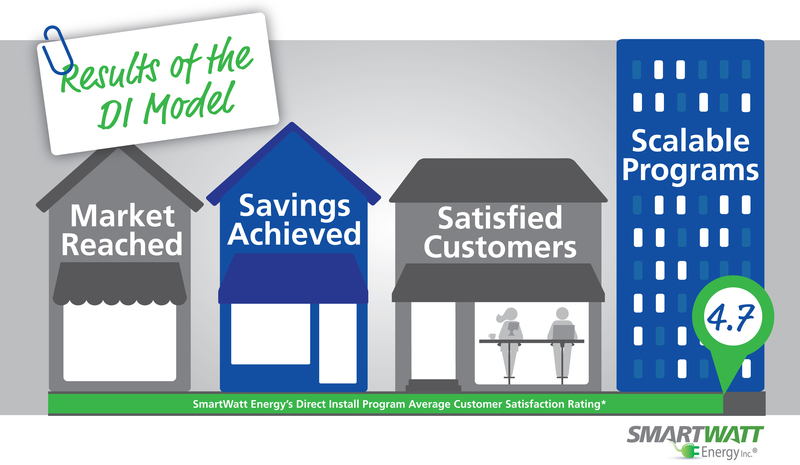 Inc. magazine ranked SmartWatt Energy No. 4172 on its 34th annual Inc. 5000 list, an exclusive ranking of the nation's fastest-growing private companies. The list represents the most comprehensive look at the most important segment of the economy—America's independent entrepreneurs. Companies such as Yelp, Pandora, Timberland, Dell, Domino's Pizza, LinkedIn, Zillow, and many other well-known names gained early exposure as members of the Inc. 5000. Having read, scored and debated thousands of abstracts on Program Planning Committees, we've developed a real sense of what makes an abstract successful. Those that win—that make it into the conference—have commonalities and we're spilling secrets! 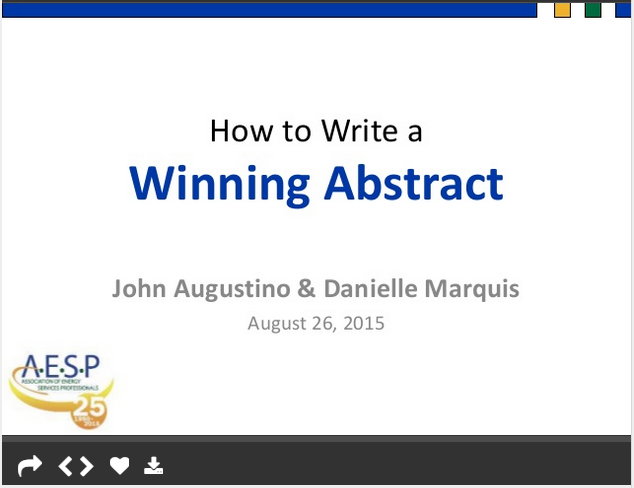 Writing a winning abstract is not easy, but it is do-able. Just like building a beautiful, energy efficient home, it doesn’t happen quickly, but with the proper planning, building and “zhushing” it can be done. 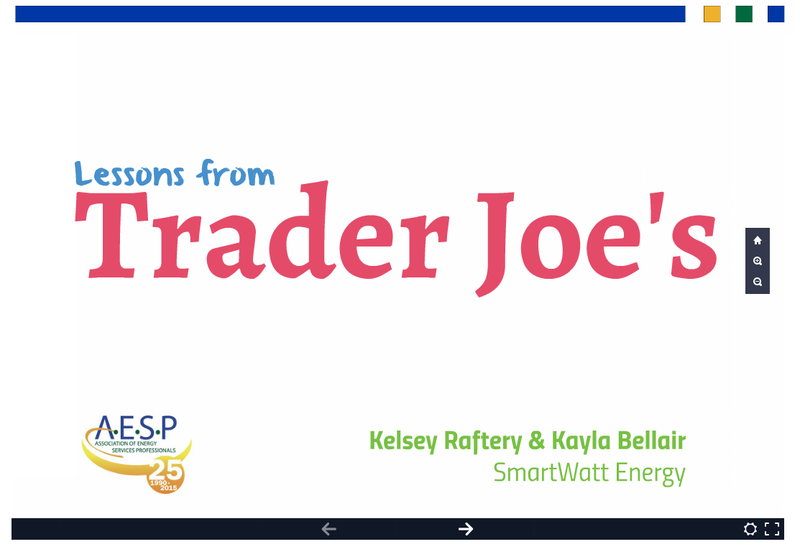 The outlook for our energy future is that demand will continue to grow, while traditional supplies become more scarce. According to the 2014 Global Utility Evolution Benchmarking Study, the worldwide demand for electricity will increase by more than two-thirds and gas by almost half between 2011 and 2035. The writing is on the wall—the infrastructure has to change in order to reliably meet this demand. Many utilities want to learn how to integrate renewable energy into the electrical grid. What better way than to help fund a test bed devoted to that very principle? To that end, National Grid announced recently that it will give two grants totaling $1 million to SUNY Polytechnic Institute for its new 356,000-square-foot ZEN building. At 356,000 square feet, ZEN (Zero Energy Nanotechnology) will be the largest zero-energy building in the world. The building, set to open this month, will be home to SUNY Polytechnic Institute's renewable energy programs. The $191 million building will generate more electricity than it uses and will be surrounded by a two-megawatt solar farm, one of the largest in the Capital Region of New York. The building breaks new ground in demonstrating the ascendance of zero energy as the new energy standard. With Tesla’s announcement last month of the Powerwall, a large lithium-ion battery designed for homes and businesses, we are beginning to enter the new world of a redistributed energy grid. The futuristic wall-mounted batteries store energy, generated onsite through solar panels or wind turbines, for use during peak hours. This elegant concept deftly solves renewable energy’s problem of intermittency: What do you do when the sun doesn’t shine or the wind doesn’t blow? The answer is scalable, efficient, non-polluting energy storage.